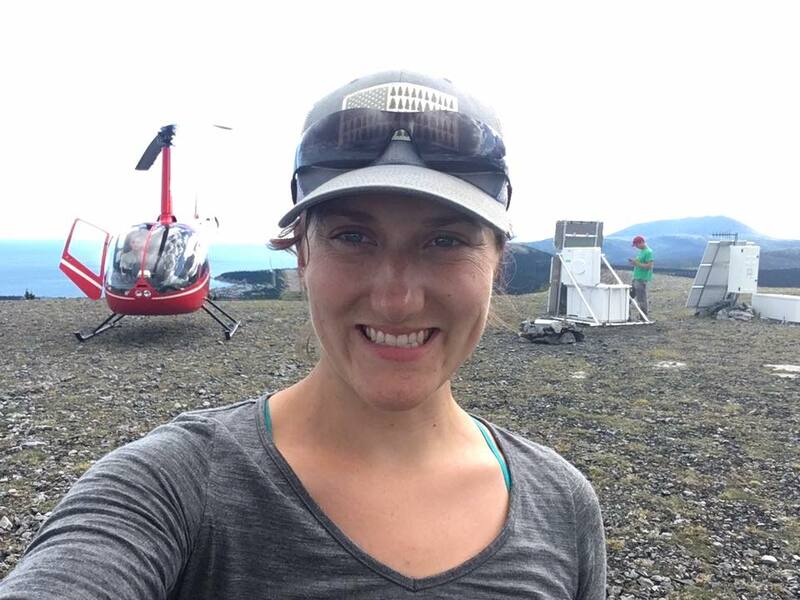 Despite growing up in Homer, Alaska, perched above the ruptured fault of the 1964 M9.2 earthquake, Kasey Aderhold didn’t initially consider a career in the geosciences. “I focused on the many other coastal fascinations that Homer provided, such as whales and estuarine ecology,” she says. Kasey Aderhold at a seismic station. But after moving to Indiana to attend DePauw University, where she majored in computer science, Aderhold’s love for the natural world made her start looking into other fields. Now a Project Associate at the Incorporated Research Institutions for Seismology (IRIS), Aderhold recalls one moment in particular at DePauw. “I looked up from my compiler code and across the science building atrium, to where the geoscience folks were laughing and dropping off dusty backpacks after some sort of weekend field trip,” she says. Her focus shifted to the geosciences for graduate school and she began using her programming experience in a more direct way – earthquake seismology. The relationship you can build from an ongoing conversation with the public is invaluable, and I see it as an essential service as a scientist. After receiving her Ph.D., she joined IRIS, where she now applies her programming background and love of the natural world in her daily work. For example, she uses her computer science background to create detailed maps of IRIS’s networks with Generic Mapping Tools – open source software for processing and analyzing geographic datasets. “The maps show plans or the current status of our networks, different configurations of instrumentation at each station, proximity of seismicity to our stations, what kind of geologic unit or water depth they may be deployed in and that sort of thing,” she says. More recently, Aderhold has been part of a team of engineers, technicians and data analysts making sure the National Science Foundation-funded EarthScope Transportable Array runs smoothly. The Transportable Array is a portable network of hundreds of broadband seismographs installed across the United States to record earthquakes and monitor how seismic waves move through the Earth. 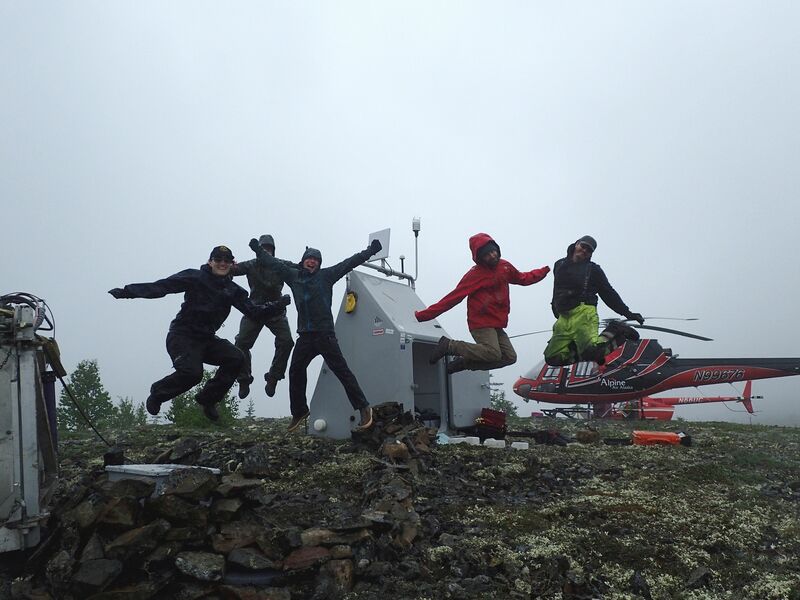 Her work on the project has varied from data management to physically setting up seismic stations. Most recently she’s handled the transfer of stations to new network operators, which can be a difficult process as many stations are hosted by private landowners and operated by different institutions. For example, new permits have to be obtained, telemetry accounts have to be changed and metadata, servers and real time data acquisition have to be coordinated with IRIS’s Data Management Center (DMC). “The fewer human touches on these steps, the fewer potential mistypes, the fewer errors you have to work out before the data are plugged into analysis,” she says. In addition to her work on the Transportable Array, she gives presentations at conferences, writes proposals, organizes symposiums and workshops and has even helped produce public-facing articles, reports, videos and websites. “It’s important people can put names and faces to the researchers doing earthquake science,” she says. Oceanic earthquakes – one of her loves in graduate school – have been the focus of another major IRIS project she’s worked on: management of the Ocean Bottom Seismograph Instrument Pool, which provided ocean-bottom seismometers to institutions for research. Most of the year, Aderhold works at IRIS’s Washington, D.C. headquarters, but her job has also taken her into the field. She has traveled to the Seward Peninsula for the deployment of the Alaska Transportable Array and worked on a research vessel off the coast of Oregon during the Cascadia Initiative – a project aimed at better understanding the volatile Cascadia Subduction Zone. She also spends a few months each year at the EarthScope Alaska Operations Center in Anchorage, which monitors the state’s Transportable Array stations. Looking ahead, the “epic scale” projects, which require the global seismological community to pool their resources together, are what excites Aderhold the most. She’s particularly focused on the oceans, which she sees as the frontier of seismology. Aderhold will be contributing to presentations on the Alaska Transportable Array, seismic emplacement and recorded noise from sources like sea ice at the 2019 SSA Annual Meeting.